The Ehrensvärd Museum, located on the bailey in the official residence of the fortress’s commandants, showcases the history of the Swedish period of the fortress. The first proprietor of the building was the founder of the fortress, Augustin Ehrensvärd. 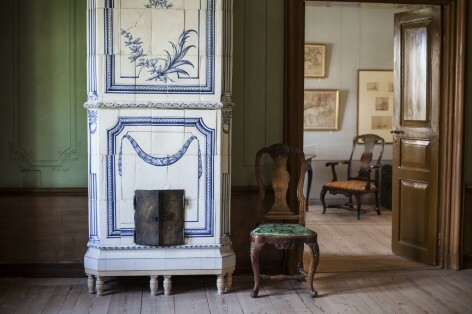 The museum collection boasts several portraits, miniatures, weapons, Gustavian furniture as well as oil paintings of Suomenlinna dating back to the 1760s. The museum is open daily during the summer season and on weekends in the spring and the autumn. The opening hours can be found in the calendar. 5/2 € (adults, children). Museum Card is valid in Ehrensvärd Museum. The museum is located on the first floor of the commandant’s house, at the top end of a long staircase. The museum does not have wheelchair access. Access Ehrensvärd museum virtually here.